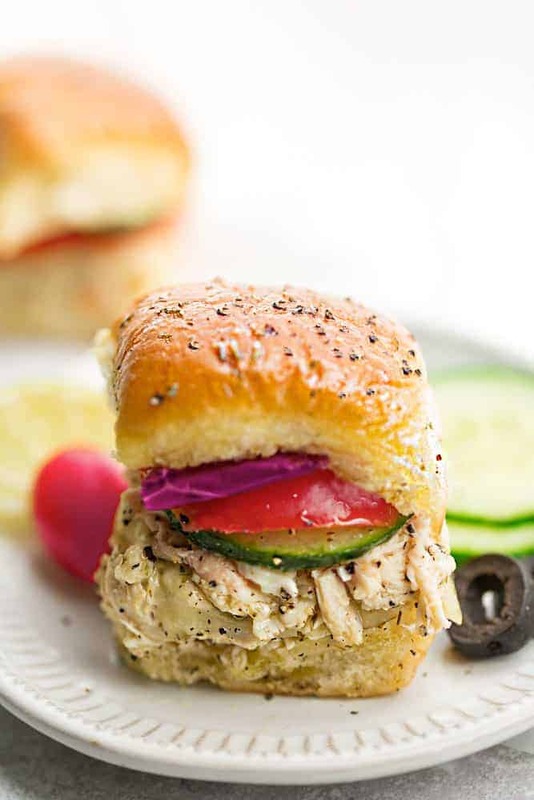 Greek Chicken Sliders made with tender chicken, feta, gooey cheese and topped with cool and creamy Tzatziki sauce. Flavor packed and perfect for parties and holidays. Hey everyone, Kelly here from Life Made Sweeter back again with some fun party food. With picnic and patio season just around the corner, I am always on the lookout for tasty and simple recipes for feeding a crowd. 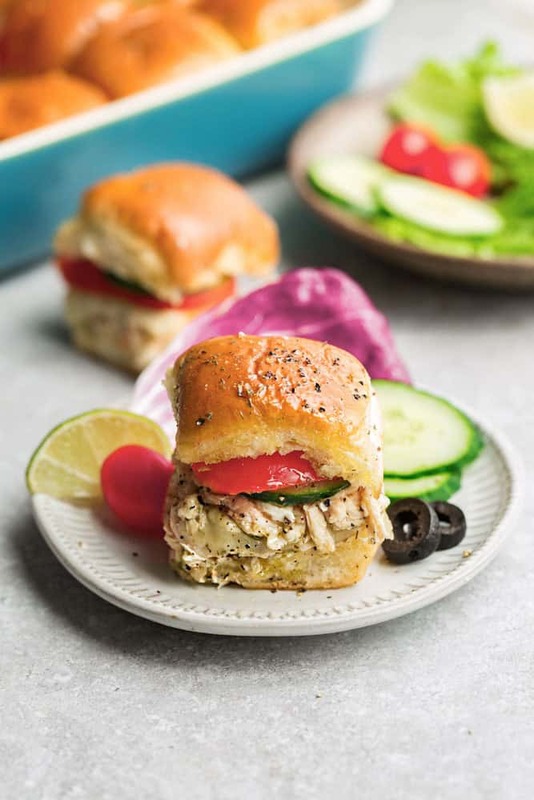 These Greek Chicken Sliders come together easily and are full of fresh Mediterranean-inspired flavors. You can go the full homemade route here or to keep things super simple, rotisserie chicken and your favorite store-bought Greek dressing (my latest favorite is Panera’s which you can find at Target) work great as well. Serve with lettuce, sliced tomatoes, cucumbers, red onions and a dollop of cool and creamy tzatziki sauce. This recipe makes 12 so it’s also perfect for a holiday party or family get together. HOW TO MAKE GREEK CHICKEN SLIDERS? Start off by combining shredded chicken with Greek dressing (I used Panera’s). 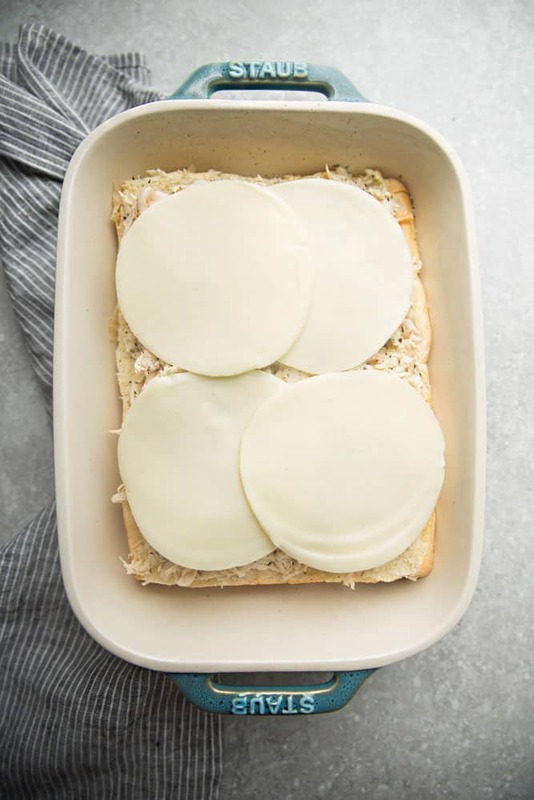 Layer with shredded chicken, crumbled feta and a layer of mozzarella slices. 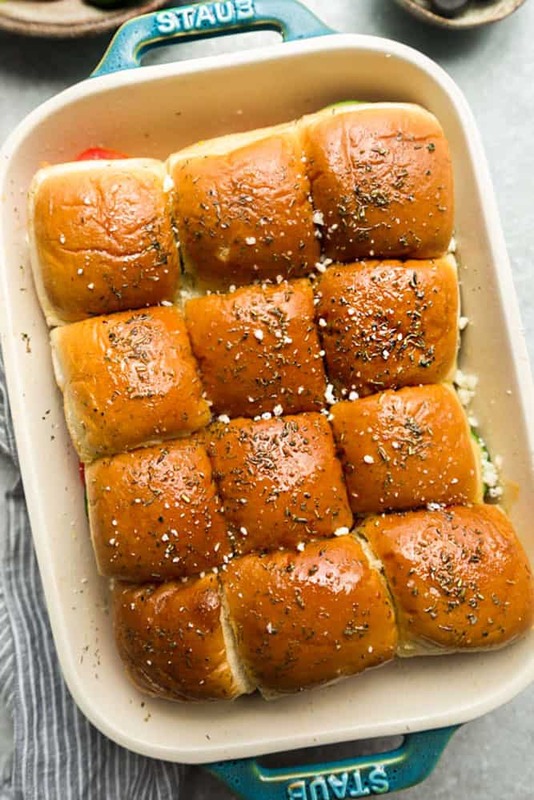 These sliders would be delicious on their own or serve with a side of Greek pasta salad, smashed potatoes or these delicious Asparagus Fries. 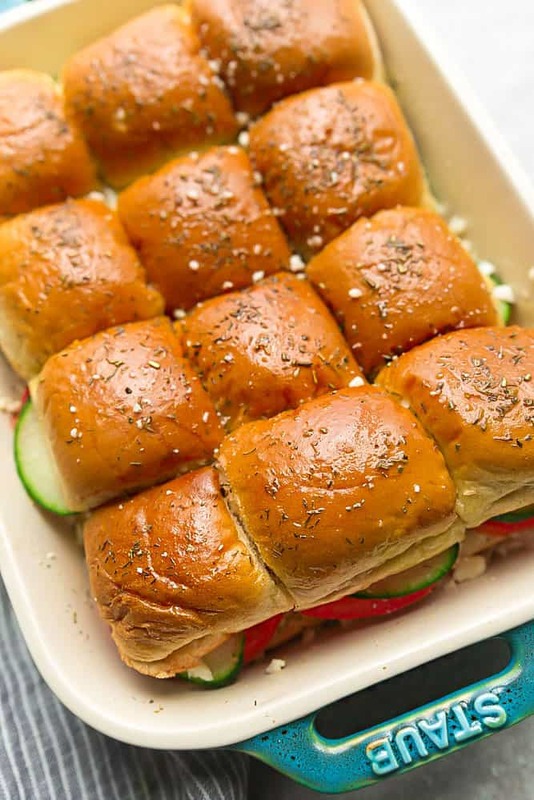 Slice into individual sliders and serve immediately with a dollop of Tzatziki sauce and choice of toppings. Sliders are best on the first day. I wish that I could comment on each and every post I receive. 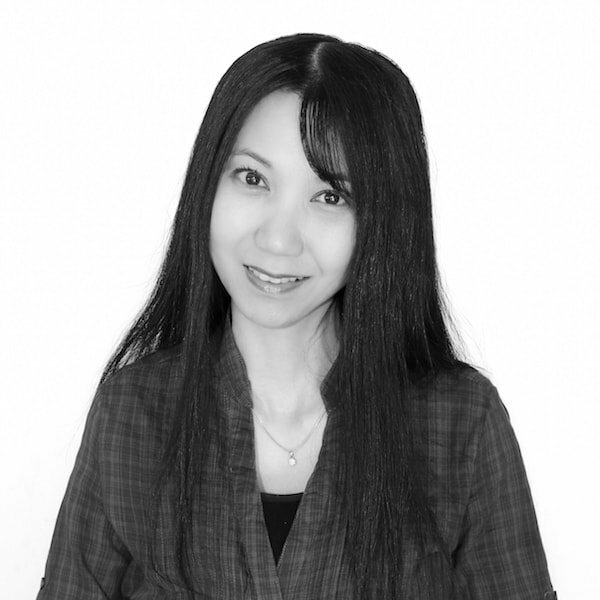 I love communication with the wonderfull people sending posts and fantastic recipes. Please do not stop because I love hearing from you on a regular basis. My comments may be short but I am falling behind trying out your recipes.